It’s the Stanley Cup finals and although my beloved Red Wings have been knocked out a couple of rounds ago I’m still glued to the games. I can’t help it; once the playoffs start I’ll watch just about any game on. By the time it gets to the final series I’m totally hooked regardless of the teams playing in it. The first two games have been incredible, except for one thing, that damn song. Every time the Blackhawks score you hear, “do do do do do do”. 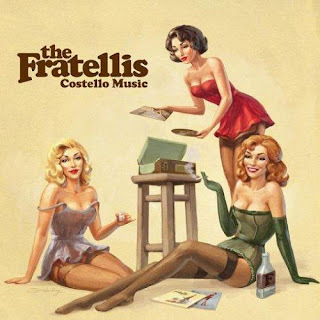 The song is called “Chelsea Dagger” and is from a band called the Fratellis. When you listen to the whole song it is pretty enjoyable, extra points for the band for taking a Goonies inspired name. But during the goal, you mostly just hear the “do do do do” over and over. Every time they score. During the play offs they’ve been on home ice 10 times now I think. In the first game of the finals they scored 6 times. I feel for every team they’ve had to play against. Thankfully the next two games will be in Philly. Oh and it looks like Nicklas Lidstrom just signed for one more year in Detroit. I guess I have something to “do do do do” about now.